A Mac computer is a non-mainstream machine which caters to multimedia content creators like video producers, photographers, and users of other Apple hardware like iPhone and iPad. Such specialized use of the Mac was due to its positioning in the market during the 80's and 90's, while IBM PC-compatible computers were marketed to cater to the "serious business" tasks. Fast forward today, MacOS is as productive as Windows when used with traditional desktop applications like office productivity and email. This article discusses the rich Apple ecosystem, especially when it comes to a productivity application that has long been a monopoly of the Windows PC: email management. The use of email in the Mac requires the careful choice of anti spam mac system to use to secure it. Such anti spam mac system will also be discussed at the latter end of the article. The list that will be provided is composed of both free and paid apps and their "usage practicality" when it comes to email management. Copies the convenient features of "Inbox" Google App, including message grouping algorithm and event notifications. Has "continuity" capability, email started on an iPhone/iPad can be seamlessly continued in the Mac. The continuity feature depends on the common account principle and does not need the devices to be in the same Wi-fi network or Bluetooth PAN. Comes with a "minimalist" mode, where the entire UI of the App only displays the email composer page. This is similar to a web browser full-screen mode, increasing the email immersion of the user. Can interface any Anti Spam mac system, if installed by the sysadmins. Developed by Mozilla as an open-source app. Cross-platform with feature parity and full compatibility with the Windows and Linux versions of Thunderbird. Add-on support, which extends the capabilities of the browser by installing custom plug-ins. Comes with advanced notification capabilities, that reminds the user when certain predefined keywords are detected in the email. Bundled with instant messaging capability, compatible with Twitter, Internet Relay Chat, and Facebook chat. It comes with seamless user account switching, lessening the learning curve for new users. Resembles the native MacOS flat, transparent design user interface. With embedded VIP flagging capability. A user can mark any contacts as a VIP, and all their emails will be considered a priority for reading. With this feature, the users will always be able to read the emails from their priority contacts. Comes as a basic Free package, with an option to subscribe. The program continues to function as a freeware once the subscription expires and until the user chooses to subscribe again. Automatic inbox leaning, autoremove of unimportant newsletters and social media junk emails. Cross platform: Android, Windows, iOS versions are also available. Bundled with corporate email capabilities like deferred email sending and email tracking. Profile roaming feature via "Contact Profiles" - the app tracks the user's LinkedIn page, Twitter profile. Display statistics like the number of times an email is read, attachments download counter and etc. These tracking can be turned off by the user. Regardless of the email client the user chooses, the most important factor that needs to be defined is the use of an anti spam mac system. Spam emails are unsolicited junk emails sent by scammers, in hopes to capture the attention of the email users. It is a primary vehicle for scammers to deceive users with visiting a malicious site, infect the computer with malware or steal user information AKA Phishing. Email clients enable users to define anti spam keywords and create custom filters for most commonly used spam-related words. One common scenario is the user blocking the word "Viagra" and other common terms used in a spam email. This makes the email client automatically move the emails to a safe quarantine location called "Junk Folder." Another option, especially in an enterprise environment to block spam is through the use of a hosted anti spam mac appliance, which filters the spam even before they reach the user's email. One such anti spam mac service comes from Comodo, a trusted name in privacy and security. Comodo Dome Anti Spam mac isolates dangerous content from emails by automatically flagging junk emails as inaccessible. This is a learning algorithm bundled with Comodo Dome Anti Spam mac as part of the heuristics engine feature. Similar email content in the future will also be detected, as it remembers the previous detection in its history. Comodo Dome Anti Spam mac system enables sysadmins to confidently allow users to use email attachments without the risk of running the malicious payload. Comodo Dome Anti Spam mac-enabled computers catch potentially dangerous phishing emails and blocks them, as it saves storage space for a long term. 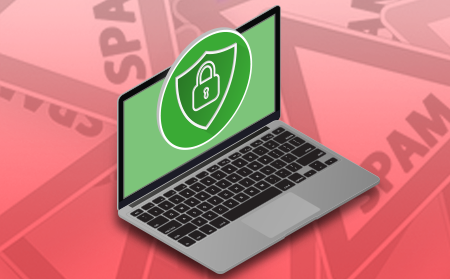 Compared to a software anti spam mac systems, Comodo Dome Anti Spam mac is highly integrated with the mail server software that filters spam even as it has a real-time connection with the Comodo cloud servers. Comodo is a trusted name in the security space and anti spam mac system. The anti spam mac computers are optimally protected with a real time system that filters the mail server from dangerous emails. The anti spam mac engine does not use adverts which slow down the user's PC. As it runs independently from the workstations, it does not waste the limited computing resources like a software antispam with a questionable quality. Try it today!